Login to your account and click “Account Settings” at the top of the screen. 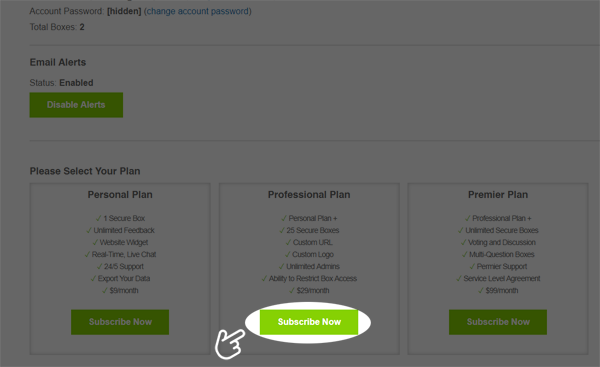 Scroll down to the “Please Select Your Plan” section and choose your desired plan. After entering your payment information, it may take up to 1 minute for your chosen plan to take effect. Your plan will renew automatically (either monthly or annually) until you decide to cancel it. See our User Agreement for complete payment terms.